Prior to this, Ann was with Westpac for 12 years and was Chief Executive Officer, Westpac New Zealand, CEO, Bank of Melbourne and Group Executive, People & Performance. She was a driver of cultural change, community engagement and customer focus in commercial and retail banking. 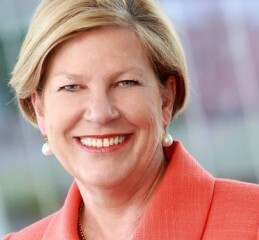 Before joining Westpac, Ann was First Assistant Secretary of the Office of the Status of Women in Canberra, advising the Prime Minister on policies and programmes to improve the status of women and was Australia’s representative to the United Nations forums on human rights and women’s rights. In addition to her executive role, Ann holds a number of non-executive roles including Sydney Airport, ING Direct (Australia), Myer Family Investments, The Palladium Group, Australian Rugby Union and Cape York Partnerships. Ann is a Fellow of the Institute of Public Administration and a Fellow of the Australian Institute of Company Directors. In 2001, Ann was awarded a Centenary Medal by the Australian Government for her work on providing banking services to disadvantaged communities. In 2004, Ann was awarded an Order of Australia for her contribution to the Australian community through the promotion of corporate management policies and practices that embrace gender equity, social justice and work and family partnerships. In 2013, she was awarded an Honorary Doctor of Letters by Macquarie University for her contribution to business and civil society and in 2014, an Honorary Doctorate of Business by University of Queensland.